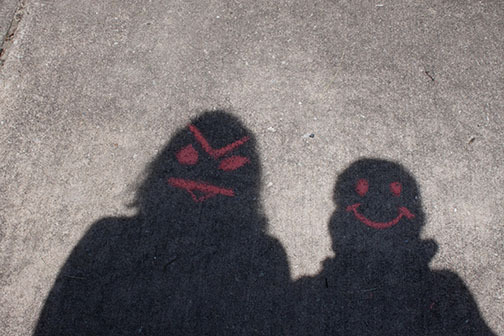 Taking shadow photos can be a lot of fun. 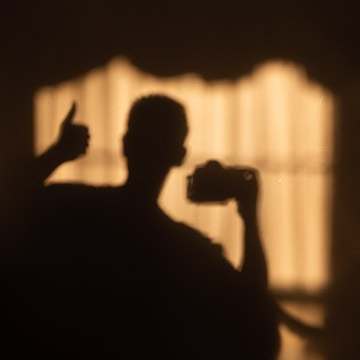 You can also use shadow photography as a great exercise in practicing rules of composition and improve your photography It's a great way for you to learn how to become a great observer of lighting. 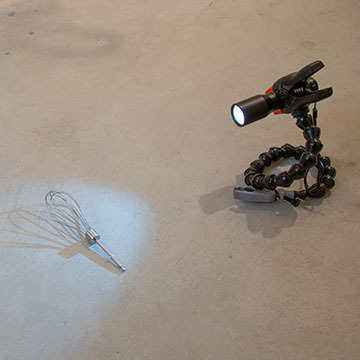 Whether you are a lighting geek like me, you're a beginner wanting to learn a little bit more about lighting, or you just want to have fun getting creative with your photography, shadow photography is easy to try. Let's dive in, take a look at a few interesting examples, and move onto the tips for you to creating your own unique shadow photos. It's one of the projects I like to give my young photography students, as part of the Inspire Kids Project. 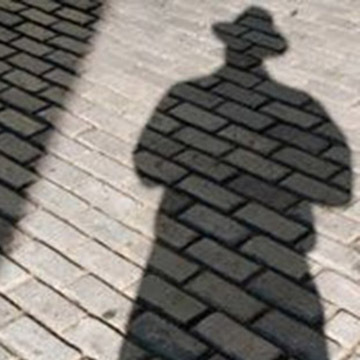 It's to create intriguing shadow pictures. Here are a few examples of their images, that interestingly enough, all involve people within the photos. 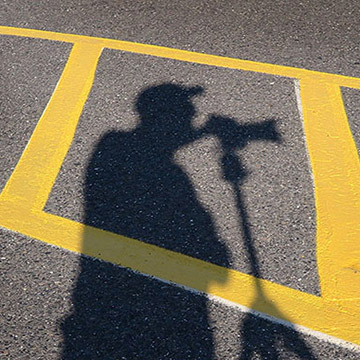 One of the easiest ways you can make a simple photo involving shadows is to find a sidewalk or a parking lot on a sunny day. You can use any object, including yourself, and see what kind of shadows you can form. All of these 3 student photographers decided to make the shadow the most important part of the image. I've shot quite a few shadows, but I didn't want to hog by showing all of my photos first. 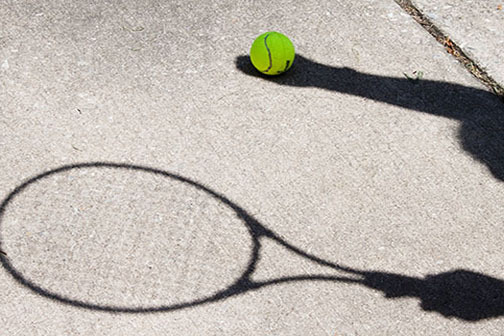 To get some shadow photography ideas, check out these examples provided by other photographers. 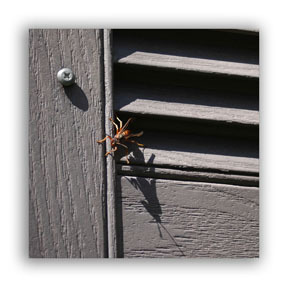 Then we'll jump into a few of my photos and the specific tips on shadow photography. 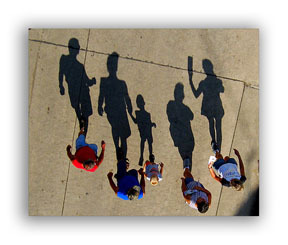 This photograph called "State Fair Shadow Walkers" was taken by photographer Don3rdSE. When the sun is low in the sky, the shadows get longer. 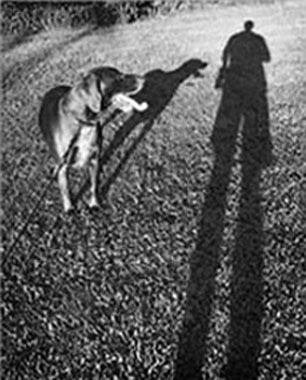 If you want long shadows try to shoot just after sunrise or a little before sunset. This is a very interesting photo because of the perspective of the photographer as well as the unique shadows formed by the five subjects. I really like it because each person was captured in a different pose. 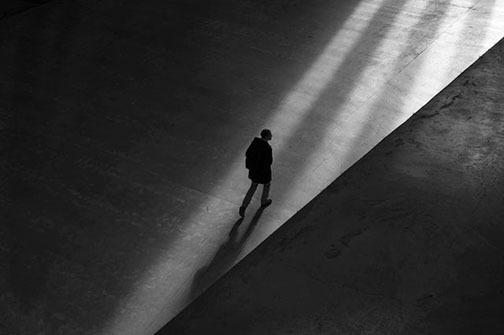 One of the special characteristics about shadow pictures is that they often can have black and white photo qualities because the shadows are so dark. 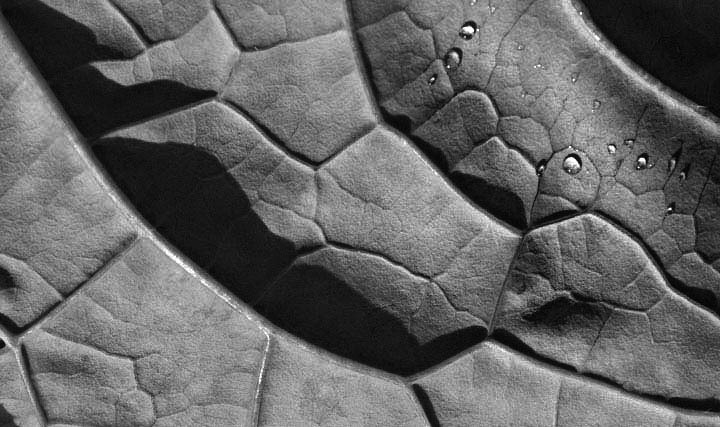 Photos of shadows often look better as black and white because they really emphasizes the patterns, shapes and textures when color is minimized in your photography. Using rules of composition, such as diagonals, leading lines, balance, and the rule of thirds in photography will help your pictures come out great. Tips on taking digital photography are plentiful as well as many sample photos on my web site that illustrate the points in the articles on photography. Look at the texture and contrast brought out by the strong side lighting in this picture of the bee and its shadow. I would have loved to see this photo taken even closer to the bee, but it may have resulted in a painful retaliation by this insect. I was not there when this photo was taken, but it would have been interesting to see if the camera could have been moved to the side instead of straight at the subject. Often shooting with a different photo perspective will create diagonal lines in your image which create additional visual interest. Here is an interesting shadow photo of a lamp and it's shadow on the building's wall. 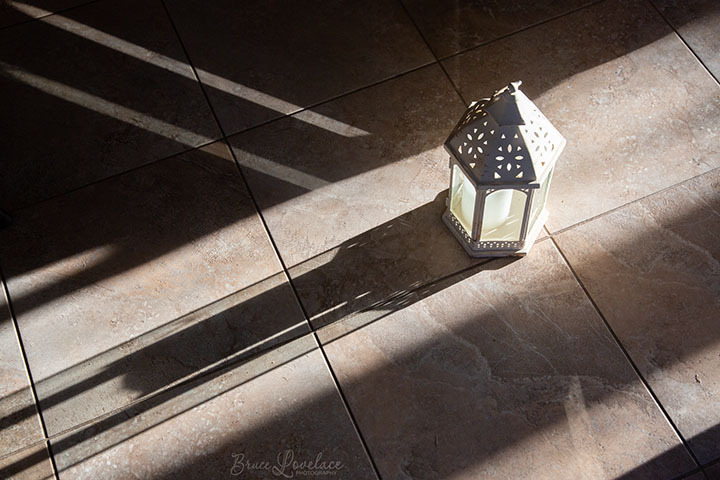 This photo is called "Lamp and Shadow" and was taken by PhotoBob#. The diagonal lines from the lamp to its shadow contrast nicely with the vertical and horizontal lines of the building. Whether you are just learning beginners photography techniques or you are an advanced amateur, make sure to take advantage of the related articles on lighting and composition tips on this site. Always keep it fun, with a childlike curiosity. We've all done it. We focus so much on the subject that it's easy to forget to see how the background is affecting our photograph. This applies to all types of photography, not just shooting shadows. Make a conscious decision to observe how the background is affecting your photo. If you're not sure if you like the effect you're getting, shoot that photo, then shoot it again in a different way. You can pick a favorite afterwards. More often than not, the shadow is more interesting than the subject that created it. 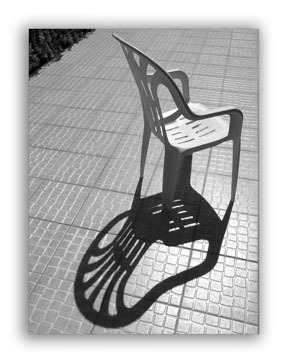 Shadows become 2-dimensional and often give us a more interesting perspective on an ordinary subject. 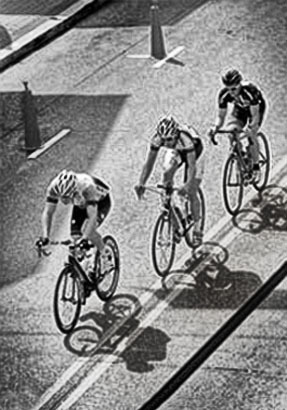 Whether you include any or some of the subject in with the shadow has a big impact on your final composition. If you find small objects to photograph, it's easier for you to spin them around as well as move them to different locations to get an intriguing shadow. 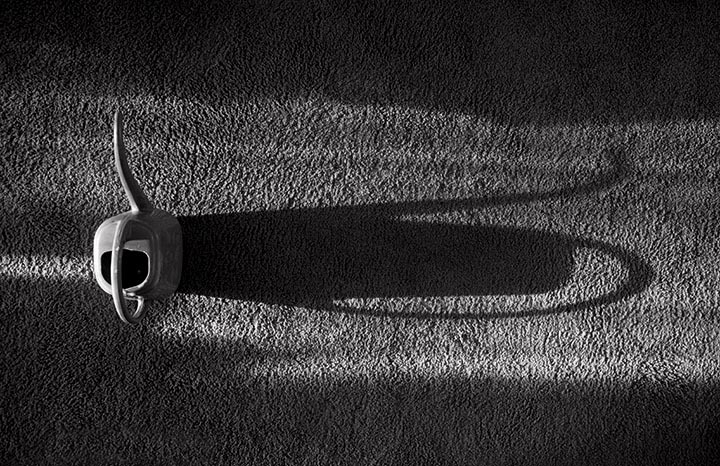 With this photo of the plastic watering can and it's shadow, I didn't like the busyness of the kitchen floor as the background. I moved the subject into the living room, then rotated the camera so that the spout was pointing upward in the photo. You don't have to lug your DSLR around with you all day long. You've got your smart phone with you almost everywhere. The fact that you're investing your time reading this article will notify your brain to notice shadows even when you're not in a picture taking mode. It could be as simple as carrying your cell phone with you while you walk your dog. This photo was taken in the evening when the sun was close to setting. You often get funny distorted shapes with this kind of lighting. Another good source of shadow subjects can be stumbled upon when you're walking in a downtown area. Buildings and other tall objects will still give you plenty of shadow when the sun is high in the sky. 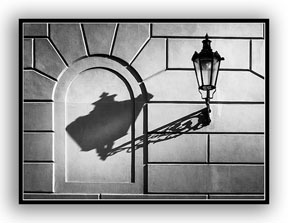 Shadows often appear black and make your photo appear somewhat monochromatic and even look like a black and white image. 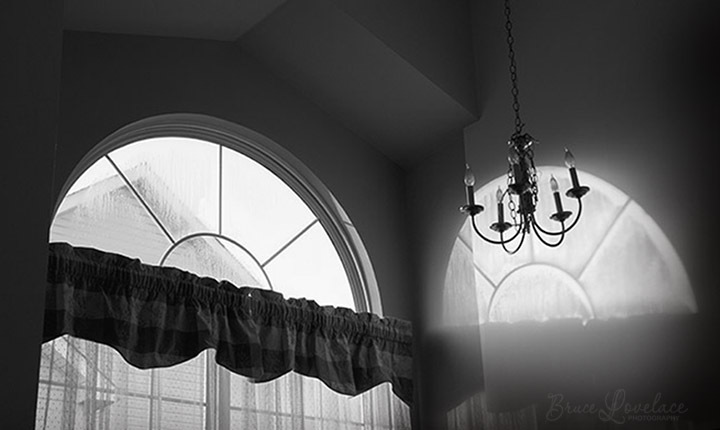 In the original version of this photo of my dining room window, I didn't like the color tint at all, so I used software (A filter in Photoshop) to convert it to black and white. Yeah, I know what you're thinking. You don't take selfie photos. Stay with me here for a second. Wouldn't you agree that these shadow selfies aren't so much about drawing attention to me as the photographer? Aren't they actually more about lighting, creating a mood or a composition that is visually interesting? 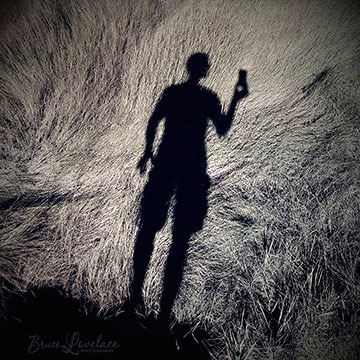 You might really surprise yourself by trying a few shadow photos that are selfies. It's an opportunity for you to grow as a photographer. 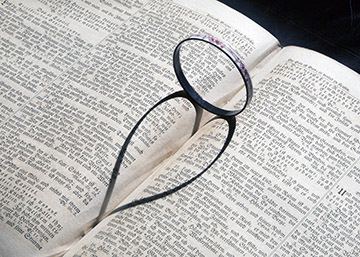 Look for closer in type of photos where you can lose the identity of what you're photographing. You'll often get this abstract effect when your photo doesn't have anything that's recognizable. Without any frame of reference with respect to size, your mind interprets shapes and colors. Any idea what this is? This photo is the underside of part of a leaf of kale. Shortly after picking this leaf from my garden I was rinsing it and noticed the patterns and, being the camera geek that I am, I decided to photograph it. I used my Wimberley plamp again to hold it in place near a window where the sun was blasting through. What is harsh lighting? It's the opposite of soft lighting. The smaller or more distant the light source the harsher it becomes. A harsh light source will give you sharper, more graphic edges of the shadow area. You've already gathered that the direct sun is a harsh light source. The small pop-up flash on your camera is a good example to, but it's so close to the lens that your shadows will be behind your subject. This is a great opportunity to try using a flashgun off camera. 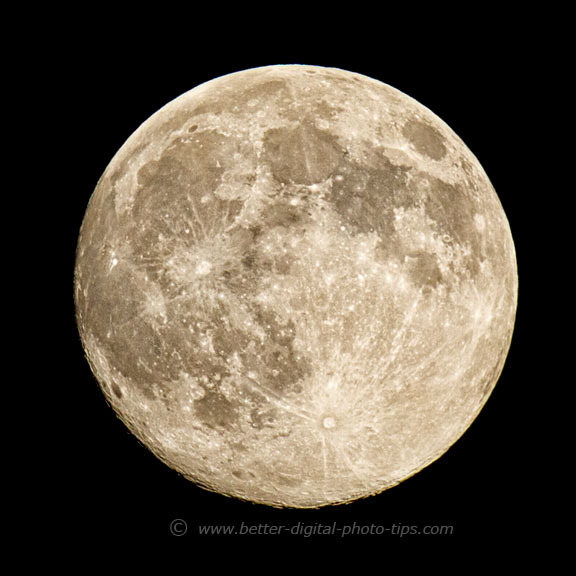 Why the full moon photo? You'll likely need a tripod to do it, but on a clear night, the moon will give you some nice sharp shadows. 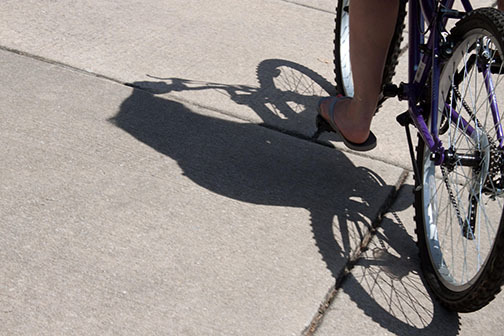 Because the sun is so far away, it's a great light source for making sharply defined shadow photos. That's great when it's daytime hours AND it's a cloud free day. But, what should you do when it's cloudy or you want to create some shadow photos at when the sun sinks below the horizon? 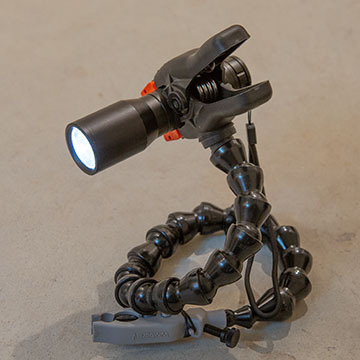 How about using a flashlight or a spotlight? 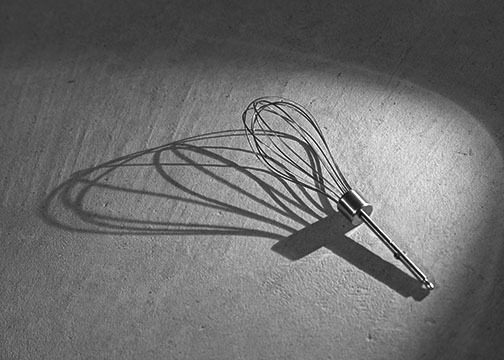 The simple set-up with the whisking brush, a small flashlight, and a photographer's clamp was all I needed to get this shadow composition. You can also use a remotely fired flash gun, but it's so much more challenging because you can't see the shadow until you look at the image on your camera's LCD screen. 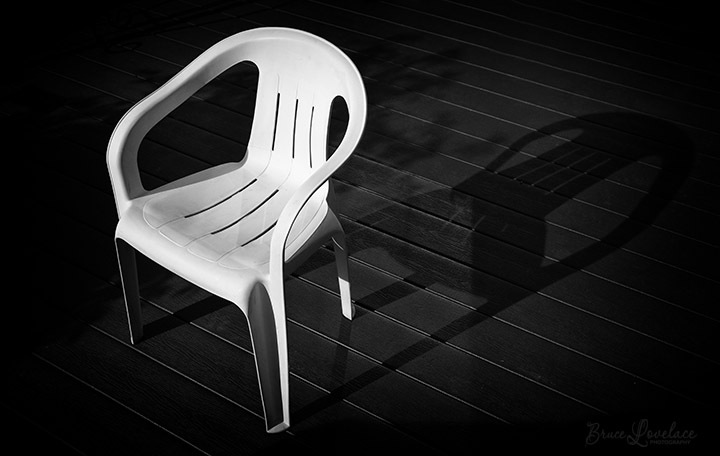 This is why practicing shadow photography will help you develop all of your photography lighting technique. 10. Get Bold with editing software. Whether you're just going to play with some creative cropping, or you're going to transform your shadow photograph into black and white, try some bold software manipulations. Crop in tight to get a detail shot of the shadow or try a contrasty black and white conversion. This is your chance to turn your basic shadow photo into an artistic abstraction and open up your creative juices. Rather than just take what the camera gives you as an accurate rendition of a particular subject, make something unique. Have fun with your shadow photography. Watch less TV. Shoot more photos. This is my gear that I consider my favorites to use right now at this point in time.